Prioritizing Houston Air Flow and Ductwork. If your air conditioning equipment is the heart, brains, and lungs of your HVAC system, then your ductwork surely makes up its circulatory system. It may not seem like it, but air flow is the most important aspect of every air conditioning system, and unfortunately is often the most over-looked aspect as well. Unless your home is utilizing a ductless HVAC system, the ductwork in your home is essentially responsible for the comfort level in every room of your home and a major factor in your HVAC equipment's efficiency rating. In-fact, an air conditioning system's SEER (Seasonal Energy Efficiency Ratio) rating is based on laboratory testing with no resistance factored in from a duct system - This means that just because you purchase and install a high efficiency air conditioning system that the ductwork may very well be reducing the system's ability to operate and perform efficiently and reach it's designed SEER rating - and that's why Adams Air is Prioritizing Air Flow and Ductwork in Houston. Every air conditioning system has a big job to do - The air conditioner in your home is responsible for moving all the air from one room to the other and works to ensure that the air in your home remains cold, dehumidified, and comfortable. But did you know all these functions are determined by air flow? If air is moving too fast through the system, the system fails to dehumidify the air. Too slow and the system begins to freeze up. Naturally in order for your air conditioning equipment to perform effectively it needs as much access to the air in your home as it can get, and this is the important role proper duct system design plays in any central HVAC system. The warmer the air in your home, the more the air conditioning system works to cool down that air, and when air is standing still or is restricted from getting into the main components of your HVAC system's equipment where the cooling process takes place, it requires more effort and run time from your air conditioning system to do the job it's designed to do and maintain a satisfied temperature in your home. Poorly designed ducting systems keep an air conditioning system from getting access to the air in your home, in the end this reduces the HVAC systems effectiveness, efficiency, increases HVAC run time and ultimately utility bills. Improperly designed ductwork or problems with a ducting system such as deteriorated ducts, crushed ducts or air leaks can actually cause malfunctions within the HVAC system and cause it to freeze up, which can harm vital mechanical components of the system such as the heart of the HVAC system, the compressor, or the lungs of the HVAC system, the evaporator coil and indoor blower motor. As you may have guessed, when these components freeze they can't operate. Compressors can't pump refrigerant through all this ice which prevents the compressor from cooling down and can cause the refrigerant to back up and build to very high pressures within the compressor itself causing their internal electrical windings to burn or short, in which case the component has to be replaced. Evaporator coils can accumulate so much ice to the point where they bend or break creating refrigerant leaks which have to be repaired. The indoor blower motor also can't push or pull air across a frozen evaporator coil, which can cause the blower motor's internal windings to overheat, burn, and short as well. Air Flow Requirements are the defined minimum and maximum speeds at which the air is to flow through the components and ductwork of the HVAC system and is measured in cubic feet per minute, or CFM. For example, if you fill a balloon with air, then pierce a hole in the balloon so that the air begins to flow out of the balloon, the speed at which this air is flowing out can be measured, which is what we consider 'air flow'. Air flow requirements are important to maintain within components such as evaporator coils because it is by passing air across the HVAC system's evaporator coil that the air is cooled and without adequate air flow moving across the system's evaporator coil, the coil will freeze up. This is because heat energy is also contained within the air that passes over the cold evaporator coil and without the proper amount of air crossing the evaporator coil, the evaporator coil itself will continue to get colder and colder until it begins to form ice and freeze. Too much air flow across the evaporator coil makes the evaporator coil lose its capacity and efficiency to cool the air, so the air has to be re-circulated through the home and back into the system again to be re-cooled. This means the system in its entirety will have to run longer in order to perform the job it's designed to do. This also means the compressor will be receiving refrigerant in a liquid state instead of a vapor state, and as compressors are designed to compress vapors, and liquids cannot be compressed, this causes damage to the compressor and premature compressor failure. Too little air flow and, again, the system will freeze, also causing damage to the compressor. HVAC Static Pressure Requirements refers to the defined minimum and maximum amounts of air pressure that is to be exerted on the HVAC components and ductwork in order for these components to operate and is measured in inches of water column or "WC. Using the same balloon example above, when you fill the balloon up with air and tie it off you will have an increase of static pressure or air pressure inside the balloon, however no air flow at all. Static pressure essentially refers to the amount of resistance to the air flow in the HVAC systems components and ductwork. The push of the air flow delivered by the HVAC system's blower motor must be greater than the resistance of the static pressure otherwise no air will flow or circulate through the ductwork or the system's components. Another way to look at static pressure is from the perspective of a doctor when the doc examines your circulatory system and takes your blood pressure reading. If an evaporator coil is rated to operate at 0.5 inches of water column, this is equivalent to a normal blood pressure reading of 120/80, which our human components are designed to operate at. If the evaporator coil is operating at 1 inch of water column instead of it's rated 0.5 inches of water column, this is equivalent to a blood pressure reading of 240/160, or twice the amount of required pressure of 0.5 inches of water. And just like with high blood pressure, high static pressure creates issues within the HVAC system. If static pressure is too high (too much air resistance) then a blower motor that's designed to rotate a specific number of times a minute in order to provide a constant rate of air flow across an evaporator coil will be rotating the same number of times, however it won't be delivering the air flow it's designed to provide and in fact will be providing much less air flow across the evaporator coil. Again, this can cause HVAC components to freeze up and leads to repairs. Too little static pressure and the air flow will be too high, which reduces the evaporator coil's capacity to adequately cool the air, and again, this means the air will have to be re-circulated across the evaporator coil in order to be adequately cooled. Poor cooling in one or more rooms. Frozen copper AC lines at the outside unit or the inside unit. Sweating vents, ducts, or HVAC equipment. You can hear the air blowing out or into the return or supply vents. The system takes a long time to satisfy the temperature set at the thermostat. Often HVAC air flow problems can lead people to believe that their HVAC equipment itself is malfunctioning (because components tend to freeze up) and they end up replacing their equipment when in reality their mechanical issues are stemming from inadequate air flow or static pressures exerted on the equipment. Once the equipment is replaced, these symptoms will re-appear and often worsen due to the fact that modern and more efficient HVAC equipment requires more air flow than equipment that was made in the past. Which is why whenever replacing or upgrading your HVAC equipment, you should also consider replacing the ductwork, otherwise your most likely sacrificing your new system's designed efficiency rating as well as the overall effectiveness that you've paid for and increasing your utility bills. It's unfortunate, but most new home builders do not design their ductwork systems correctly. A good rule of thumb to go by is: Does your home have a return air grille with a filter in every room with a door (besides kitchens and bathrooms)? If your home's ductwork isn't designed this way (which is typical with new home builders) then your HVAC system is most likely suffering and costing you more money to operate than it should and not acheiving the effeciency level it was designed to reach. 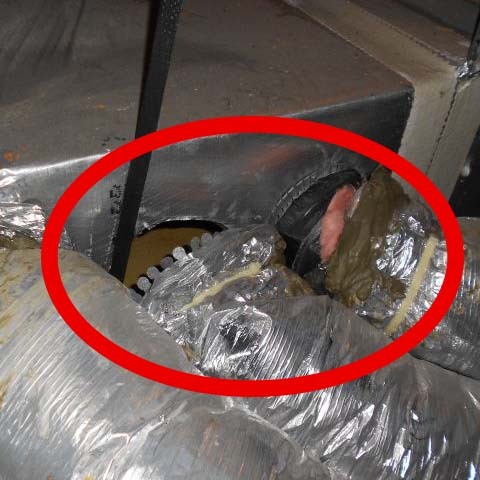 Some air flow problems are easily discovered because they can be readily identified without the use of special tools, such as broken, choked or collapsed ducts, which can be easily repaired. While other air flow problems require a little detective work such as static pressure issues, which are not so easily discovered or repaired. Just like a doctor always checks blood pressure, an HVAC contractor should always check static pressure to determine if any of these air flow issues are present or if a mechanical issue exists with one of the system's components. Calculations exist to determine just how much air flow is required for the volume of space inside your home. These calculations help the contractor determine which equipment is applicable for your home and also how the ductwork is to be designed in order to distribute the air to each room at the proper air flow rates and static pressure requirements defined by the equipment manufacturer. If you feel like your HVAC system may be suffering from some of these air flow problems, the first thing to do is visually inspect the ductwork in your attic and make sure all the ducts are properly secured, sealed, and check around for air leaks or collapsed ducts like the examples shown above. Sealing ductwork is a relatively simple procedure that can be achieved with duct tape or a special air sealant called 'Mastic'. If correcting these issues doesn't correct the problem it may be time to get help from the professionals at Adams Air. Our helpful staff has the latest diagnostics equipment to quickly locate and pinpoint the issues with your ducting system and provide you with an air flow solution that's going to ensure the effeciency and proper operation of your system and it's components. If you have any questions related to air flow or your ducting system, feel free to contact us @ (281) 677-2526 or contact us via the contact form located at the "When Proper Air Flow is Needed" tab at the top of this screen and we'll get back to you in no time. Turn to the Houston Air Flow Experts. Are you looking to upgrade your ductwork or suspect your having air flow issues with your current ducting system? Adams Air representatives are available 7 days a week to answer any of your HVAC Air Flow or Ductwork questions and offer competitive family operated rates for residential and commercial Ductwork Repairs, Ductwork Installations and Air Flow Balancing. 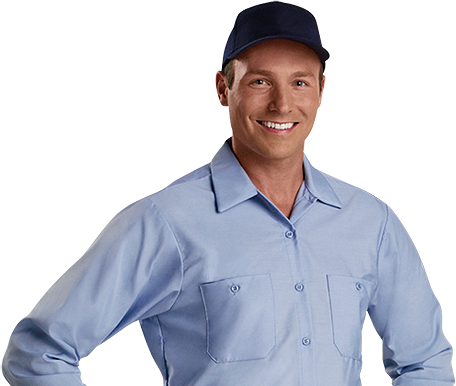 Our expert staff and quickly diagnose, pinpoint, repair or replace any of your air flow issues and ensure your HVAC system is operating at it's maximum effeciency and capacity for years to come. For more information or to schedule an HVAC air flow inspection, call (281)-677-2526 or contact Adams Air via the form below and we'll call you back in no time.